This is a guest post by Jason Wells of Convirza (formerly LogMyCalls), who has some interesting data on the power of phone calls – and good reasons to measure your web-influenced call traffic. One of the byproducts of the mobile marketing explosion is an increase in the number of phone calls businesses receive. BIA/Kelsey, in a report released in mid-June, says that the number of phone calls most businesses receive will double by the end of 2013. You read that correctly. Most businesses will receive twice as many phone calls in 18 months. It sounds staggering, but it makes sense. Google says that 61% of mobile searches result in a phone call. xAd says that 52% of all mobile ads result in a phone call. Add those numbers to burgeoning smartphone penetration and it all equals more phone calls. I can hear you, expert online marketer, panicking a bit here. Won’t this mess up your conversion rates for landing pages? Won’t it make things ‘messier’ to track if people start calling you more? Maybe. But it will also make your conversion rates go up. 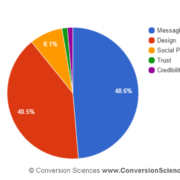 Convirza tracks conversions resulting from phone calls, and here’s what our research shows us. Inbound phone calls are 10-15 times more likely to convert than inbound web leads. In other words, someone that downloads a White Paper or attends a webinar is significantly less likely to receive a Demo of your product or buy from you than someone that calls your business. Recently we ran 3 different email campaigns with 3 different advertisers. Each campaign advertised the same White Paper. Because we’re obsessed with marketing analytics, we tracked these campaigns fastidiously. We tracked how many people downloaded the White Paper and we tracked how many phone calls each landing page produced. This landing page saw a 47% click conversion rate and a 50% call conversion rate. Campaign 2 – The landing page converted at 40.1%. And a reasonable 13.2% of the people that downloaded the White Paper ended up receiving a demo of our product. Again, this landing page also generated phone calls. Around 50% of those phone calls resulted in demos. Campaign 3 – The landing page converted at 47.4%. And a very, very poor 3.6% of those leads wanted a demo (this campaign was conducted very recently so we expect that number to rise). Again, over 50% of the people who called via the landing page requested a demo. Phone conversion rates are higher. It is just that simple. Google says that pay-per-call mobile Adwords campaigns have 6% to 8% higher conversion rates than pay-per-click mobile Adwords campaigns. They also say that including phrases like ‘Call Now’ or Call us Today’ in the mobile ad copy improves conversion rates. The reason for these higher conversion rates for mobile is simple: it is natural for mobile searchers to call. After all, they are searching on a phone. Mobile callers also enter the sales funnel at a much lower point. Mobile searchers rarely do extensive research on their mobile device. Rather, mobile users search when they are looking for something they need immediately. This means action is more likely and a phone call is more likely. The first thing it means is that a landing page conversion rate is simply not as ‘clean’ as it used to be. You have to factor calls into the equation. To ignore them is to ignore the highest performing element of the landing page. And that would be silly. Second, it means that businesses need to be staffed and prepared to answer phone calls and answer them effectively. Because, just like a landing page, small tweaks to phone pitch can make a close rate go up or down. Third, it means that you shouldn’t measure mobile conversions in the same way you’ve measured online conversions for the last 10 years. Mobile is not about pageviews and abandon rate. Finally, we should point out that some businesses will be impacted by mobile more than others. We recognize this. But, keep this in mind: if you have a lead type (inbound phone call) that is converting 30%, 40% or 50% of the time, why wouldn’t you want to generate more leads of that type? Watch Conversion Sciences free webinar to learn more about the importance of of mobile websites. Hi David, I work with Jason and we’ve seen great success with mobile LP as a click-to-call only. The two most common actions on mobile are maps and phone calls. Landing pages should be built around those actions. Good stuff, Jason. I just went through with a customer the analytics issues around tracking attribution and she reported many of the same things you observe here. Its great to see some data to back it up too. Thanks. Jason, great data. I’m interested in sourcing the data for the 10-15X number – inbound call conversions compared to inbound web. Was this from your own data or another source? I’d like to reference the source. It is from our data. MECLabs says that only about 2% to 6% of web leads convert to clients. Our data shows that anywhere from 25% to 75% of inbound phone calls convert to clients. Pretty stunning stuff!